Sometimes you just need a cupcake. Or rather, when you’re boyfriend is working until 2 am one night, he needs a cupcake. Last night turned out to be a late one for Daniel, so I thought I’d perk up his office-mates with some late night chocolate goodness. I pulled the recipe from one of my all-time favorite cookbooks, and a real piece of Americana, The Fannie Farmer Cookbook. Considered the status quo cookbook for all things classically American, it really is a fullproof volume of traditional dishes. 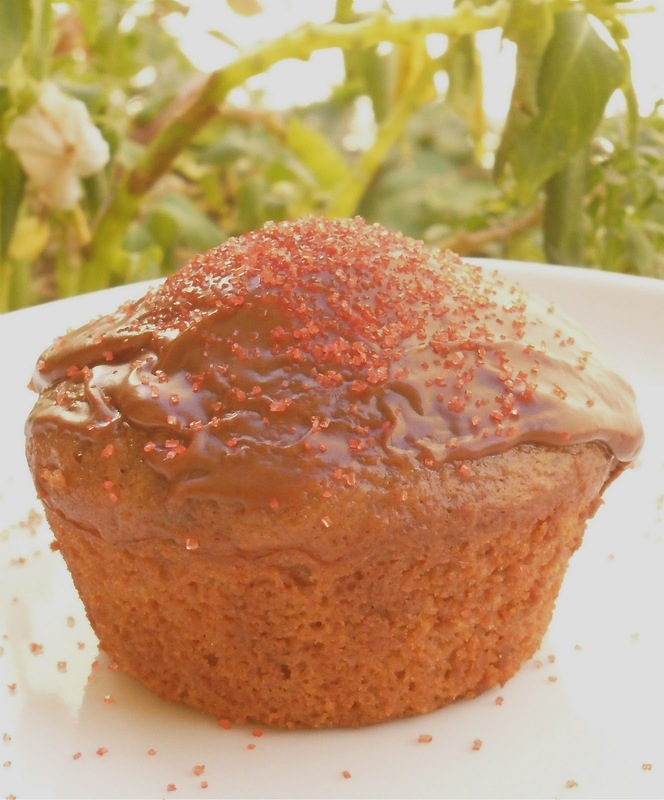 Plus the recipes have great names, like this one: Little Light Chocolate Cakes. Preheat oven to 350 degrees. Line muffin pan or spray with non-stick coating. Combine the shortening, sugar and cocoa in a mixing bowl; pour over the boiling water and beat until smooth. In a separate bowl, sift together flour, salt, baking powder, baking soda. Slowly pour the dry mixture into the wet; beat until well blended. Add the egg, vanilla and sour cream to the batter until smooth and creamy. Spoon into the individual muffin tins until about 3/4 full. Baking for about 20 minutes. Let cool before frosting. Chocolate Frosting recipe after the jump! In a separate bowl, beat the butter until light and creamy. Stir in the egg yolk and continue to beat, adding the sugar 2 tablespoons at a time. Slowly add in the melted chocolate. Beat until all the chocolate is incorporated and the frosting is fluffy. Allow the frosting to cool to room temperature before applying to your cupcakes.